This 82mm Adapter Ring from Benro is designed to enable the use of a Benro FH100M2HF Master 100mm Filter Holder or a Benro FH100M2BHF Master 100mm Wide-Angle Filter Holder, as well as the filter holders contained in a Benro FH100M2 Master 100mm Filter Holder Kit or a Benro FH100M2B Master 100mm Wide-Angle Filter Holder Kit. 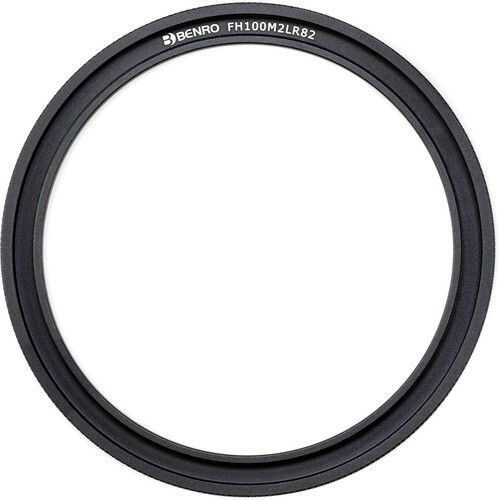 It is compatible with lenses that feature 82mm front filter threads and features an aluminum-alloy construction for durability while remaining lightweight. Box Dimensions (LxWxH) 4.45 x 1.9 x 0.4"